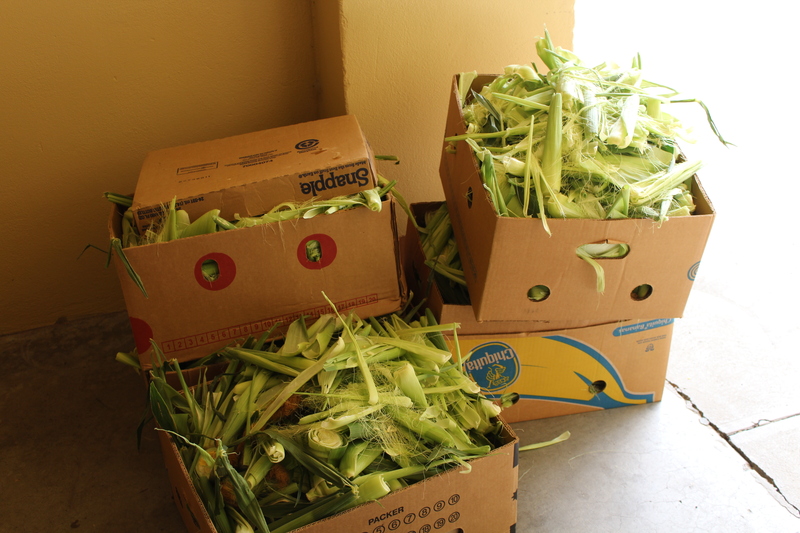 Looks like Corn for Dinner Tonight at the Convent! 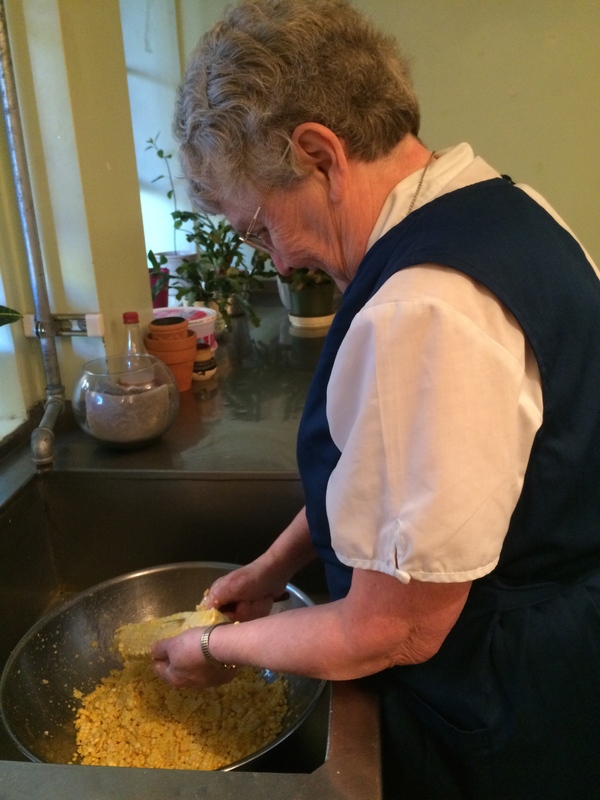 One of the things that really pleases the Sisters is their personal contribution for food prep at the convent. A value to be championed for sure as the preparation and preservation is important to the lifeblood of the community. The Sisters have a long history of growing and preserving food for consumption. We have been blessed over the years with help from outside the community as well. Several individuals and families are recognized every fall for their gifts of food to the Sisters. Produce brought to the convent is taken to the food prep room where Sisters sit around tables constructed for the purpose of food prep. Peaches are skinned and sliced, apples and potatoes are peeled, corn is husked and many other actions as well. An announcement comes over the loud speaker, “Corn Husking will begin in 10 minutes.” All available hands make their way to the room, sit down or stand and do their part to make it happen. 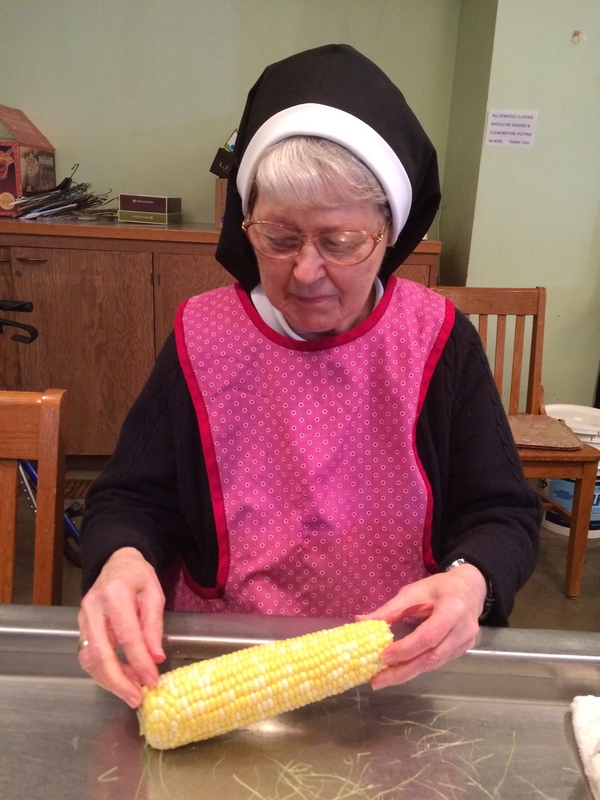 A time honored tradition that never changes at the convent and one that puts a smile on the face of those who help and those who eat! Thank you Sisters for the work you do behind the scenes to make food available for great meals! 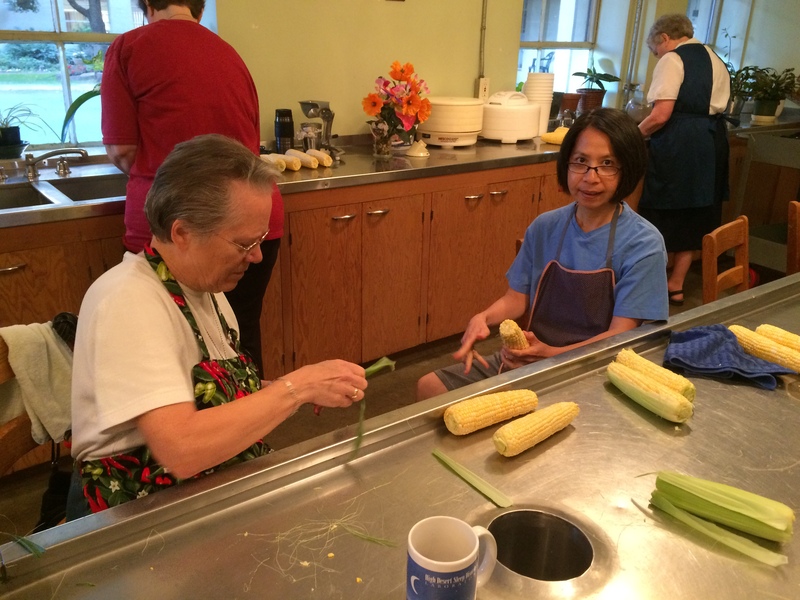 Sister MaryAnn and Sr. Julie work on husking the corn for dinner! 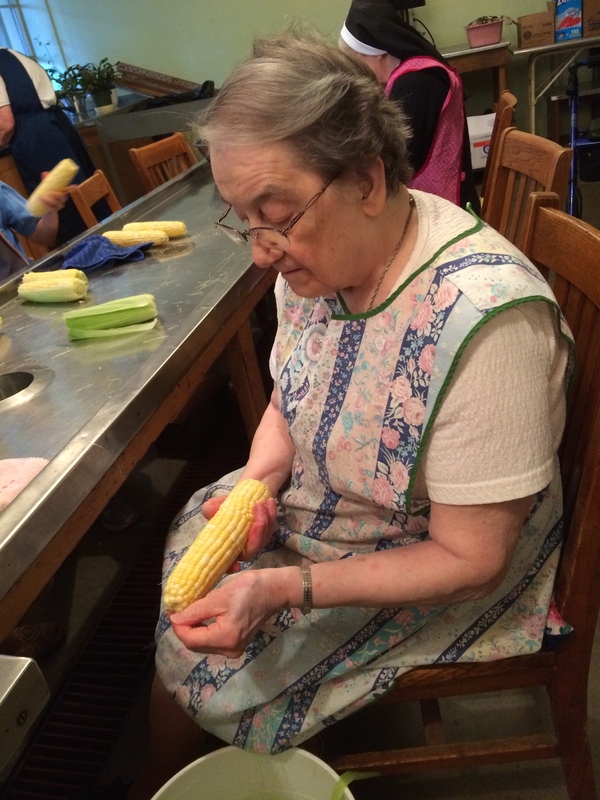 Sister Paula Fox is transfixed on an ear of corn that she is dutifully preparing. 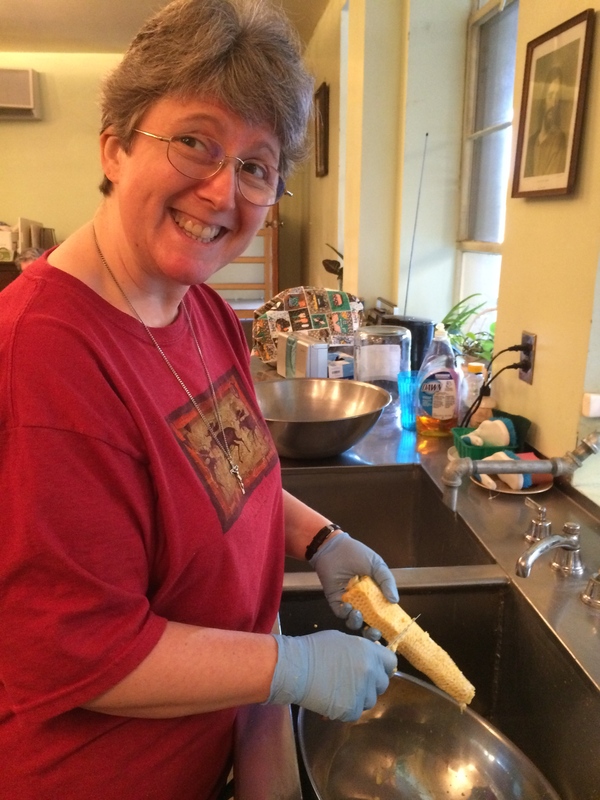 Sister Colleen helps remove corn from the cob! 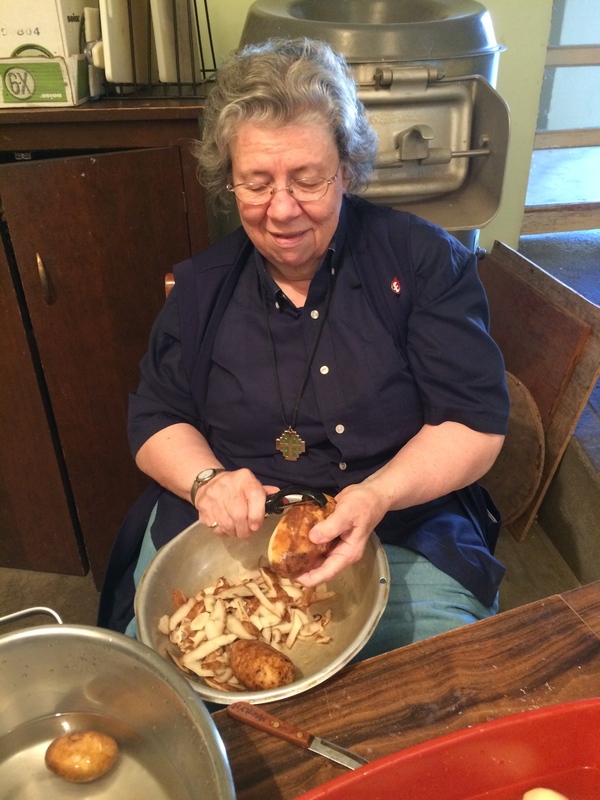 Sister Marilyn peels the potatoes! 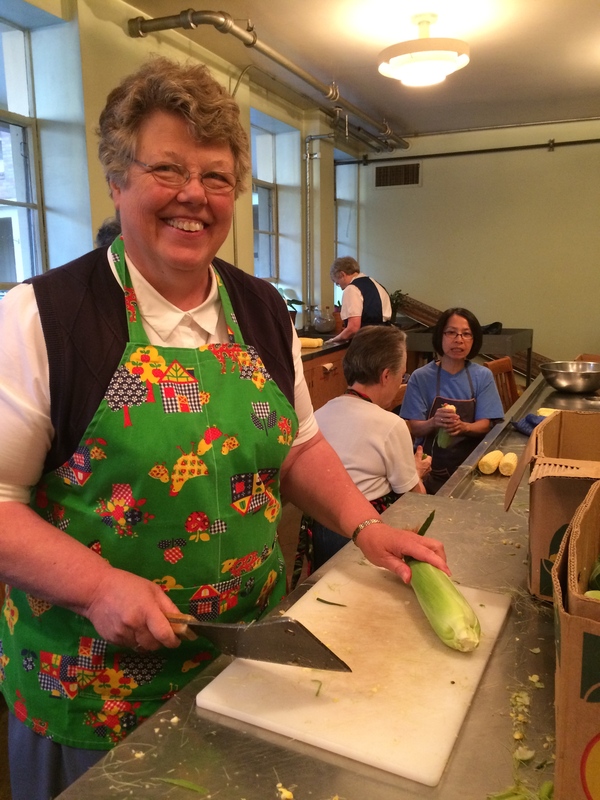 Sister Charlene cuts the ends off the ear of corn! Look out folks! That’s a big cleaver! ← Meanwhile…Back at the Convent…What’s all that Construction on Campus You Ask?